At Asurion, we love technology and wellbeing. Luckily, those two things go hand-in-hand when it comes to leading a healthy and connected life. Asurion’s in -house wellbeing expert and yogi, Nini, walks us through a few wellness goals and how technology can help us achieve them. 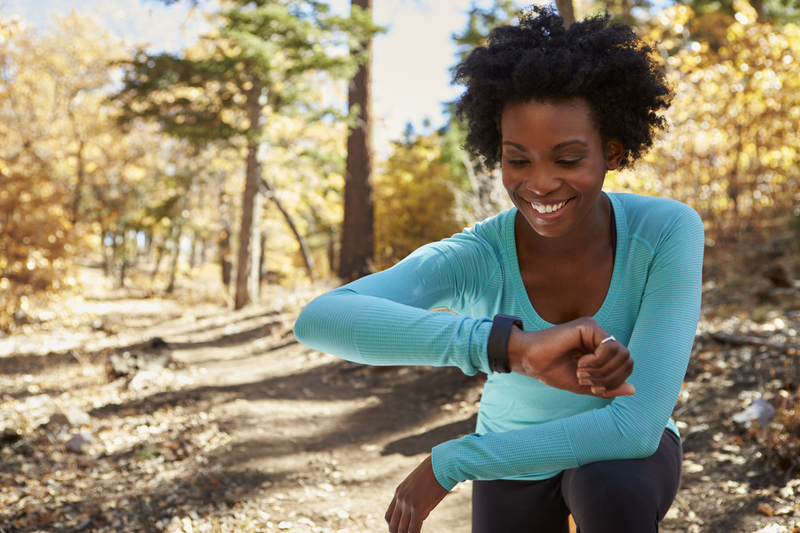 Why it’s important: Tracking your heart rate during exercise is important because it’s the most effective way to monitor the intensity of your exercise. 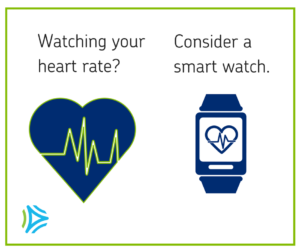 Knowing your maximum heart rate is important to make sure you’re not straining yourself. If you’re just starting an exercise program, it’s recommended that you aim for the lower range of your target heart rate zone and gradually work your way up over the course of a few months. Technology to help monitor heart rate: Luckily, we no longer have to strap a heart monitor around our chests for basic monitoring. Fitness trackers and smart watches can measure heart rate, alert you when you’re in your target range, and send reminders about getting up and moving. Trackers come in all different shapes and sizes – pick one that fits your activity of choice, whether it’s walking, playing a team sport, or swimming. Why it’s important: Adults ages 18-64 need 7-9 hours of sleep a night. Work, school, kids, and life’s distractions can often prevent us from getting a good night’s sleep. 1. 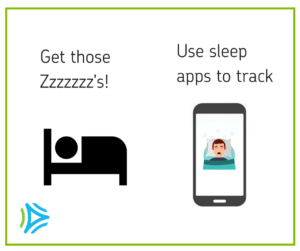 Fitness tracker, smart watch, or smartphone apps can help monitor the length and quality of every night’s rest. This data can help build a foundation for creating better sleep habits. 2. No tech at all! Studies show that the blue light of our devices can disrupt our natural inclination for sleep. If you’re having trouble falling asleep, opt for a book over a phone. Why it’s important to watch what you eat: Even with all the fitness trackers in the world: you can’t outrrun the fork. What we put in our bodies is just as important as exercise. 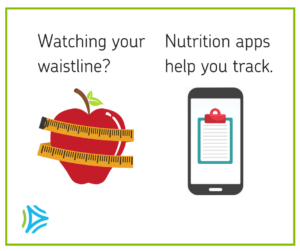 Helpful tech to help you eat better: Smartphone apps can help structure meal plans, calorie counts, and food tracking. 1. Use your voice! While in the grocery, don’t be afraid to ask your phone for substitution recommendations or healthy alternatives to your favorite snacks. 2. Fitness trackers and wearables that measure heart rate are really helpful in measuring calories. Approach calorie counts with caution – these numbers are typically not accurate, but can provide you with a ballpark estimate of how many calories you’re burning. If your fitness tracker doesn’t track heart rate, your calorie count is likely to be quite inaccurate. A tracker that monitors heart rate can make your results a bit more accurate.